Operational upgrade memory in a laptop – perhaps one of the few procedures available to a wide range of users. Despite the difficulty of replacement of individual components, add in the laptop operational memory is quite simple. Many computers even have a special design that provides easy access to her. Before adding to the operational laptop memory, check the configuration of installed devices and possibility of their replacement. Including consider add operational memory and purchase a strap of the appropriate scope and standard that will fit in your laptop. Also useful would be to read the manual on repair and maintenance of your laptop model. Download it from the manufacturer's website. In it you will find all necessary information regarding any transactions which can, if desired, to perform on their own, without resorting to service centers, saving thus money. Many models assume a simplified user access to modules of memory for its extension or replacement. So often there is no corresponding need to disassemble the whole computer, as it happens, for example, when cleaning the fan of dust or replacing the keyboard. At the same time, your laptop model may have their own design features, so please check your action to dismantle the operational memory in the manual. • From the bottom of the laptop remove the screw that secures the compartment cover memory (if your model computer has a corresponding structure), and, having raised, remove the cover. • Open the clamps holding the bar to the operational memory in the appropriate slot, and gently remove the module memory. • Collect the laptop with a new strap of the operational memory in the reverse sequence. The operational memoryor RAM — random access memory is what makes operation of your computer or laptop fast, productive and efficient. With the growth of technology there are increasing requirements for software and computer components, so RAM may not be enough, and there is a need for its increase. 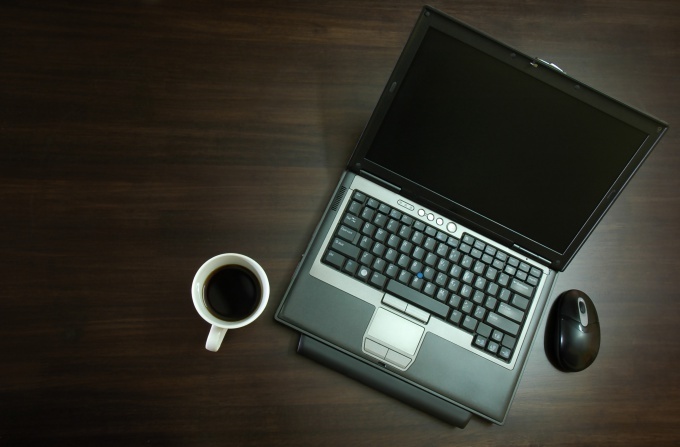 In this article we will discuss several methods that allow you to increase memory laptop. To start, determine what type of dynamic RAM is supported by the motherboard of your laptop. It can be read in the technical documentation that came with your computer. Find out what memory you need for notebook - DDR SDRAM, DDR2 SDRAM or DDR3 SDRAM. If you have not found the documentation and found no marking on the Board is RAM that is already in the laptop, determine the type of RAM is possible by installing to a computer diagnostic program (such as Everest or Aida). For the performance of the RAM is in its working frequency. After you have determined the proper type of RAM, determine the required operating frequency, which is suitable to the laptop. If you put extra memory card, leaving the laptop in the first place, make sure that the working frequency of both slots match. It is necessary for a stable collaboration between the two RAM. Frequency must not exceed the maximum supported by your motherboard. To install the purchased cost of RAM, unplug the laptop from the mains, remove the battery and look on the back of the housing cover that encloses the compartment of memory. Usually, this cover is specially marked with the marking for easy adding of components, and it is easy to remove by removing the screws with a screwdriver. Insert in the free slot a new memory card and snap fastening. To get the card, fold mount and pull the card. After installation, return the cover into place, tighten the screw, insert the laptop battery and connect it to the network to check whether the installed new RAM. 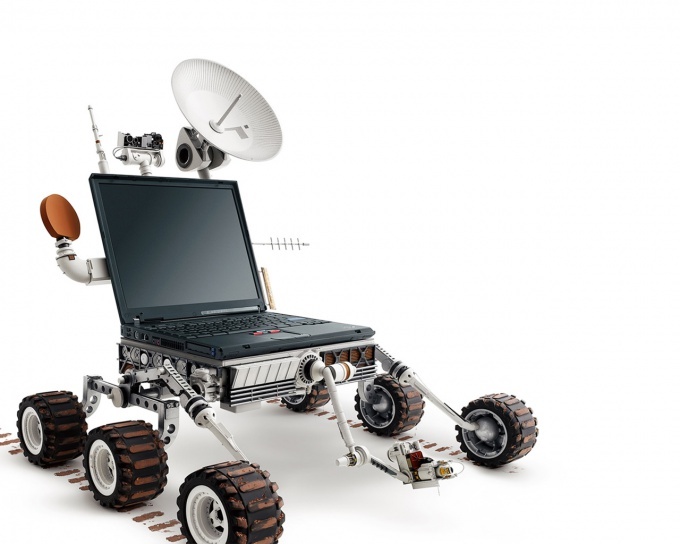 Laptop, like any computer, may be subject to upgrade – the installation of more powerful components that affect the performance of the laptop. There are some ways to increase the power of the laptop. A great influence on the power of a laptop renders the value of the RAM - install more RAM. To do this, carefully read the instructions and find out the maximum possible size of RAM. Then get the proper item and install it in the laptop. Please note that some laptopx slot for expansion of memory is designed as a separate compartment with its own lid, and some of such a compartment is not, and for this operation you will have to disassemble it almost completely. In addition to the memory performance of the laptop depends on the graphics card. The graphics card can be integrated or discrete (separate). Onboard video card can not be changed. A discrete graphics card can be replaced by more powerful. Find out what video card is installed in your laptop, then purchase and install the more powerful. Plug the new video card should be exactly the same as the old. To replace the video card you will need to disassemble the whole laptop. To increase the power of the laptop also you can use install a new hard disk larger. Find out hard drive size and memory and purchase a new hard disk with the same size, but a large volume and greater speed. Hard drive installation is also accompanied by a complete disassembly of the laptop. Before you disassemble the laptop with a view to its upgrade, carefully read its manual and also read specialized forums. Find out what details can cause a conflict. Purchase only manufacturer's recommended components. If your laptop is under warranty, its upgrade should be trusted employees of specialized service centers. Otherwise you will lose warranty for the device. RAM is never enough. The volumes, which yesterday seemed impossible, today is routine, and tomorrow they will seem just funny, so everyone who uses a computer, sooner or later you have to buy more memory. In laptops use memory modules that are different from those placed in stationary computers. They are smaller and are called SODIMM. 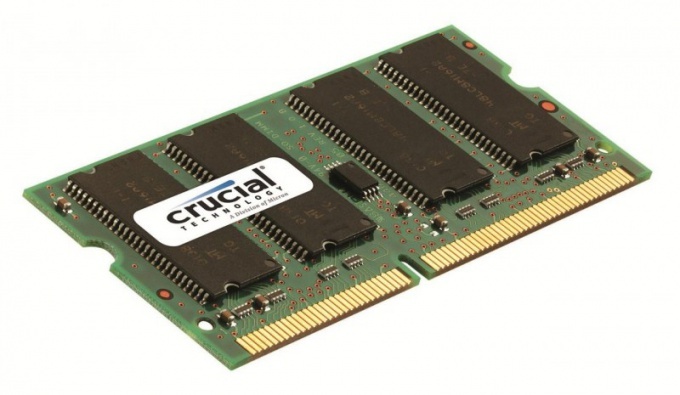 But before you buy memory, you need to determine what its type is in the laptop: SDRAM, DDR, DDR2 or DDR3. On many laptops there is a colored sticker where it says the type of CPU, graphics card, memory and hard drive. If there is no sticker, you can install any diagnostic program, like Si Soft Sandra, Aida or Everest and know the memory type your laptop. You can also use a small program CPU-Z. you can Download it from the manufacturer's website http://www.cpuid.com/softwares/cpu-z.html. Unzip the archive and run the file cpuz.exe. Here, on the Memory tab, next Type will be written to a memory type. In line DRAM Frequency will be written in the frequency at which working memory. The data already have enough to buy memory for a laptop, but you can make it even easier. Turn off the laptop and remove the battery. Then on the bottom of the computer remove the screw that holds the memory module compartment cover. It's possible that this screw may be sealed with a warranty sticker, so if the warranty yet did not end, similar operation is carried out in a service center of the store where you bought the laptop. If the guarantee is already there, then open the lid and pull out the memory module. In order to do this, fold the SODIMM retaining latches on the sides and pull the module up. Put the memory in anti-static bag and show it to the Manager in a computer store. He will offer you options to replace the memory. Remember that new modules are best put in pairs to support dual-channel mode. New memory should be installed in the reverse order – first to put in her contacts, then push the latch and push down on the module that would latch it fixed. When you insert the SODIMM, note the slit on the module and not put it by the other party. Now you can close the cover to insert the battery and turn on the laptop. New memory will be automatically detected. Few users know that laptops can be upgraded like a regular desktop computers. Using an ordinary screwdriver, you can replace hard drives, optical drives and memory modules. Shut down the operating system on the laptop and wait for it to turn off. Unplug the power supply. If necessary, power off and then disconnect all peripheral devices. Remove the laptop battery as described in the manual. Usually, one uses special latches. Find out from the manual exactly where the car memory modules. They can be either under the keyboard or under a cover on the bottom. Some machines of the modules located under the keyboard and another under the hood. To remove the keyboard, close the computer (making sure that between the keyboard and screen there are no objects that could crush the last one! ), then remove the lid hinges. Then open it, remove the false panels located above the indicators, and gently pry up the keyboard over the top. Trail beneath you, do not turn off. Do not move the computer with one keyboard, not to tear off the plume. Do not close the laptop until the node is disassembled. The cover located on the back side, remove by unscrewing one or two screws standard screwdriver. Do this only when the assembled keyboard node and a closed laptop. If you want to change the RAM modules under the cover and under the keyboard, you first collect the car after the previous procedure. To remove the memory module by gently pulling in different directions for located at the sides of the metal latch. One of its sides pop up and you can easily remove it. Remember or sketch, as it was installed. Take the module with you to the store or to the market to buy a second (subject to availability of slots), or to exchange it with a surcharge to another having a larger volume. To install the module, insert it with the contacts in the recess of the slot, given the location of the key, and then press the opposite side until it clicks. Assemble the laptop in reverse order, connect the peripherals and power supply. Check his works. Using the program Memtest86+ to verify that the memory actually increased, and the new module does not contain the failed cells. The amount of RAM used in the laptop affects the overall performance of the device. To improve the performance in the laptop, you can install additional memory modules. They will be able to increase the speed and stability of the system. Standard configuration of modern netbooks rarely involves more than 2 GB of RAM. This means that to increase the speed of operation of the device, you must install an additional plank which might increase this figure several times. Not all laptops support memory expansion, and therefore you must verify the possibility of surgery. Take a screwdriver and Unscrew the plastic flap for the straps of RAM. Cover covers part of the hardware device and is intended for replacement of the memory without requiring disassembly of the whole body. Check the availability of additional slots for memory. If you see another free slot, so the extra RAM is possible. If both slots are occupied, the only option to increase performance would be to buy new memory modules larger volume. Buy a new bar of RAM. For example, it is advisable to buy a device that has 1 GB of RAM, one or more laths on 1 GB. Or if your device is only one slot for RAM, purchase straps instead of 1 GB cost for 2 GB. When selecting the RAM, pay attention to straps, a clock whose frequency is approximately equal to the same value as pre-installed in a netbook module. Do not buy the memory, which is many times greater than the preset. A large amount of RAM affects the life of the netbook without charging due to the increase in energy consumption. Also, too much memory may just be not identified by the computer because it exceeded the allowable limit on the amount of RAM. Before buying it is desirable to take the old RAM module with you to the sellers store component can select the appropriate type of RAM used under the netbook plug. The process of installation of memory can vary depending on the device type and model of the netbook. Pry off the clips that fix the memory in the slot, and then install the bar so that it is easily entered into the correct slot. After installing the strap clips will automatically lock. Increasing the amount of RAM will have a positive impact on the performance of the netbook in games and intensive applications. Attach the previously retrieved the cover, and tighten its bolts. Start the computer and test it. Setting the bar completed. 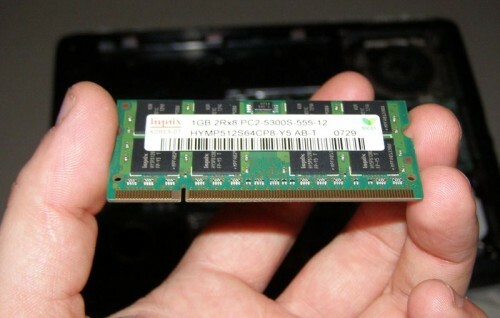 Most computer users face the problem of shortage of RAM. If it is not enough, the computer runs slowly, it is impossible to use some modern software, and play trendy powerful games. However, it's not worth buying a new computer, and you can try to increase the RAM. To increase the computer's memory, you can use several different methods. For example, you can use the BIOS settings, the functionality of which will in some way expand the options and speed up computer performance by 5-10%. To increase the RAM also allow various kinds of utilities specifically designed for this purpose. But the best method is to purchase and add additional hardware components (motherboard RAM). For this it is necessary to find out whether your computer extra connector to install the Board, and to provide funds for its acquisition. Before you purchase and begin to install additional "strap", you need to understand what type of RAM installed on your computer. There are 3 types – DDR1, DDR2, DDR3, the first two of which are quite outdated and are used on older computers. 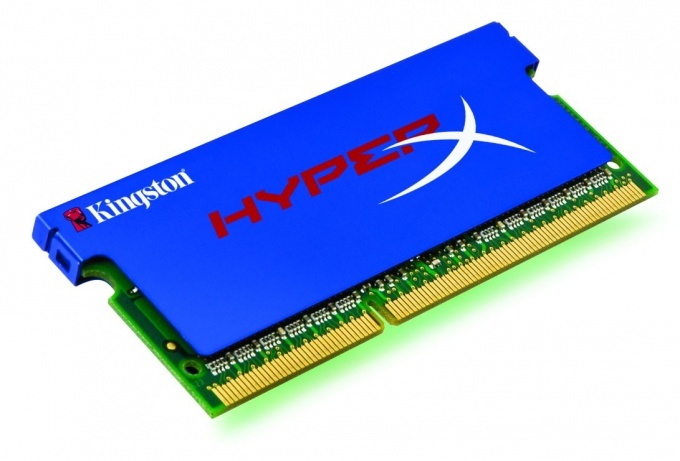 In modern PCs use DDR3 RAM. If set strap memory DDR1 or DDR2, then it look exactly the same, because DDR3 modules other sizes, and it does not coincide with the groove slot. Now decide for yourself whether you want to add a "strap" or replace them with new bigger volume. There is a caveat – well, if both RAM have the same data, such as memory size, transmission frequency and even the same manufacturer. This coincidence will allow you to use the function of "Dual Channel", which increases the data transfer rate in half and will significantly increase the performance of your PC. Keep in mind, if your computer runs on 32-bit operating system, it used to be no more than 3.2 GB of memory. For example, if you install two modules at 2 GB of memory will still be used in the amount of not more than 3.2 GB. To increase the operating memory of the computer complete, you will need to remove the old and install the new 64-bit OS. Before you remove the old bar and replace it with a new one to increase your computer's RAM, it would be nice to remove static electricity. This can be achieved, carried for a while for both the radiator and the system unit of a computer. Next, install the memory module in the slot that he "stood up" the place, according to the click of the shutting of the lock in the connector. To find out whether you have set the bar, and whether to increase the RAM in your computer, run a check. This is done as follows: look on the desktop shortcut "My computer", click the right mouse button, click "Properties", and you'll get information about the RAM and amount of RAM. Now you know how to increase your computer's RAM, so your PC can become more efficient and capacious.